What better way to welcome Fall than with an all-you-can-eat and drink gluten-free pizza and cider festival! The event was hosted by Pie by the Pound located in Union Square. It was my first time there and definitely not my last. The restaurant was packed with over 90 hungry people looking to snag their fill of gluten-free goodness. Pie by the Pound is very casual with a fun, laid back atmosphere. Along with offering delicious food and drinks it also provides a vast selection of board games and cards to bring out your inner kid. No need to count them… there’s over 20 gluten-free beers and ciders for you to choose from!! I’ve never seen so many options at one restaurant. Pie by the Pound is always adding to its gluten-free beer selection so it’s safe to say there’s something for everyone. After a lot of trial and error (no complaints here) I’ve finally found my favorite fall cider…Doc’s Pumpkin Hard Cider and I’m in love. It’s the perfect combination of clove, allspice and, of course, pumpkin. If you love pumpkin this is a must-try! Gluten-free pizza to a celiac is like a cronut to a gluten-ous foodie. 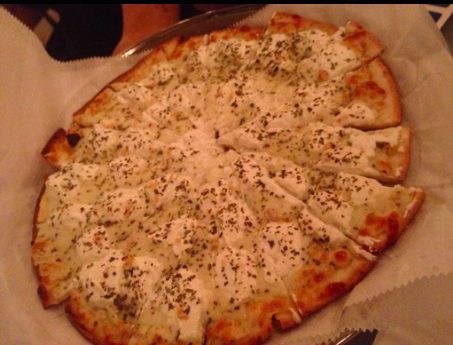 Once we find a gluten-free pizza spot we just can’t get enough of it. Pie by the Pound offers a wide-variety of pizzas so whether you’re gluten-free, vegan or vegetarian there’s something for you. 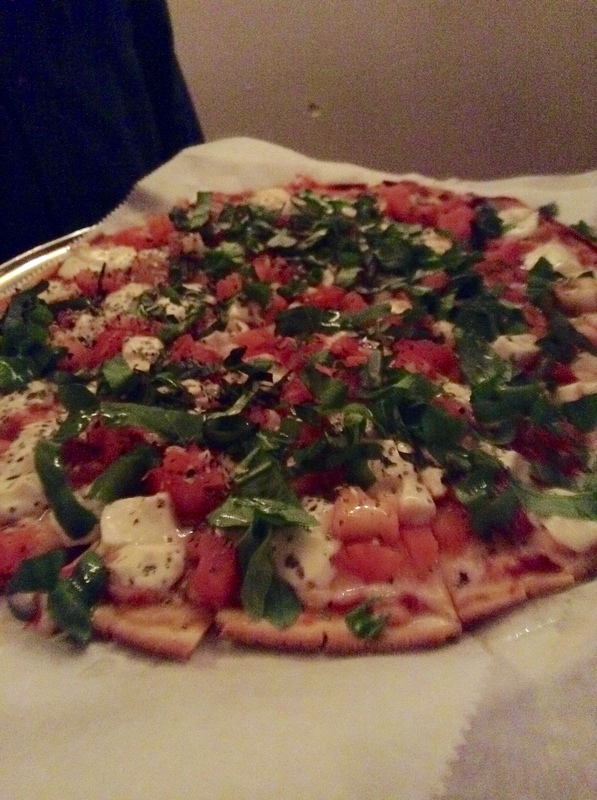 The crust is divine; thin and crunchy and the chef is very generous with the toppings. Every bite is a smorgasborg of all the ingredients so that your taste buds never miss out. Everything I had was delicious. Even though I was full I could’t help myself from eating slice after slice. I mean how can you put gluten-free pizza in front of me and not expect me to eat it? My absolute favorite bites from the night were the Bacon and Caprese pizzas. Yes, it’s literally covered with bacon! Former sugar and gluten lover, Jeffrey has now been gluten-free for 10 years. 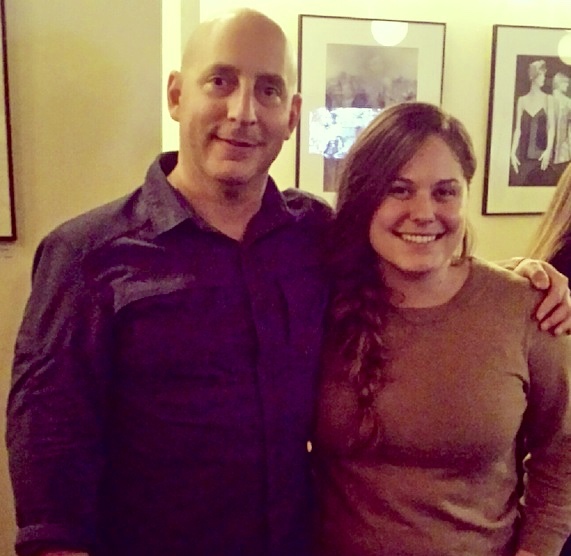 I had a blast talking all things gluten-free while chowing down on piece after piece of pizza. Right away, I could tell Jeffrey was a great guy because he made sure my plate was never empty. 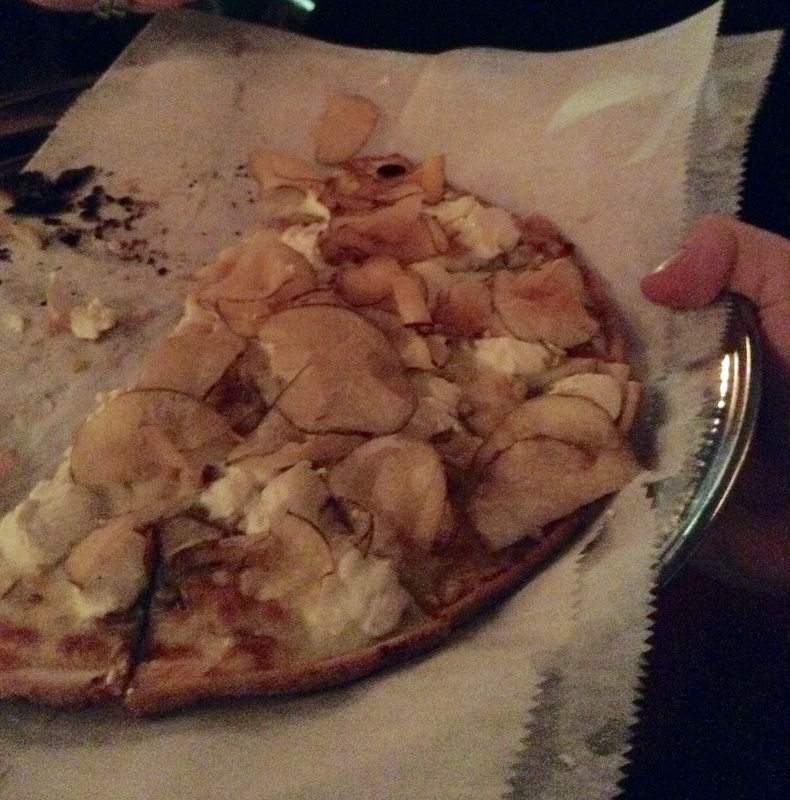 It shouldn’t be a shock that Jeffrey is a pizza addict and loves inventing new ways to excite your taste buds with combinations like Potato Chip and Ricotta Pizza. He is extremely passionate about offering delicious gluten-free pizza while at the same time minimizing cross-contamination so everyone can enjoy America’s comfort food. All of Pie by the Pound’s gluten-free products are made in a separate facility to minimize cross-contamination and prepared in a designated area and baked using a designated oven. Pie by the Pound has super strict standards for staff training as well as extensive protocols for eliminating cross-contamination including separate ovens, color coded utensils, separate storage space, separate food containers with airtight lids, separate sanitizing buckets and more. Jeffrey also has a mini gluten-free library, gluten-free guidelines sheets as well as current guidebooks from the Celiac Disease Center at Columbia University for customers and staff. It’s safe to say Jeffrey goes above and beyond. 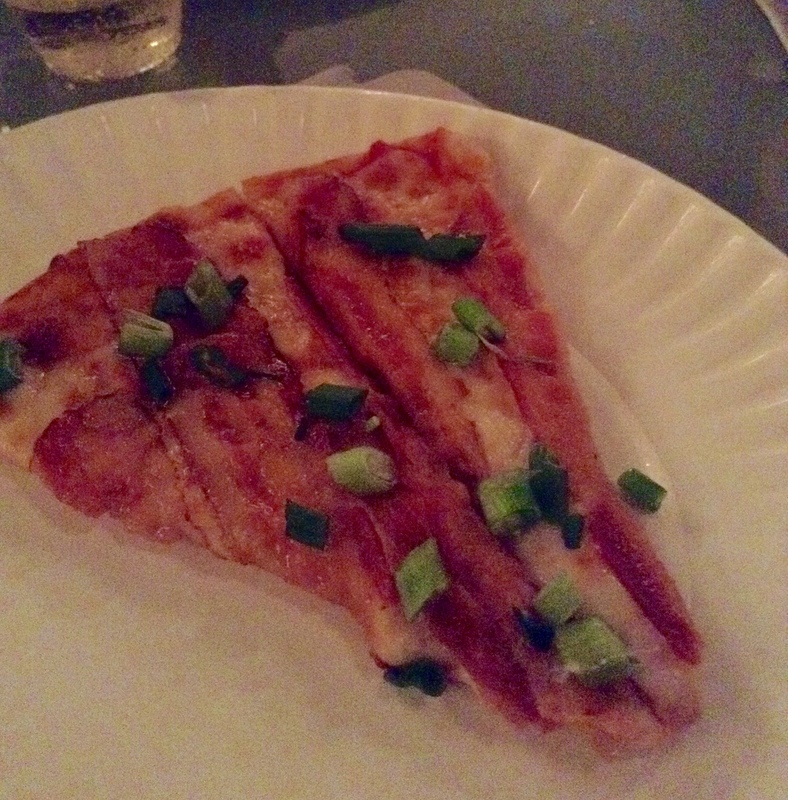 Verdict: Not only does Pie by the Pound offer delicious gluten-free pizza and a huge selection of ciders and beers, but Jeffrey goes above and beyond to ensure you have a great dining experience. I love the casual, laid-back atmosphere and the neighborhood pizzeria feeling I get from this place. I feel very safe eating here and can’t wait to go back! Oh and if you have room for dessert, make sure to order the lemon drizzled cookie, so good. Great night. Great company. SO. MUCH. PIZZA! Yes such a fun night!! I always love seeing you and the gluten-free gang 🙂 I couldn’t believe all the pizza we ate but it was so worth it!